The 2017 Lincoln MKZ near Biloxi, MS pulled out all the stops this year. 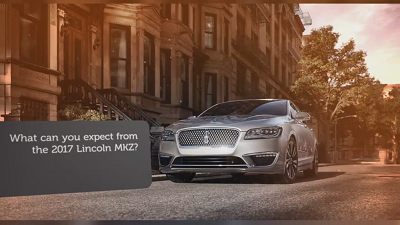 Unlike its competitors, next year’s MKZ gets a full refresh which makes this much-lauded sedan even more attractive. The latest-model MKZ receives the exclusive twin-turbo V-6 engine that can generate up to 400 horsepower and 400 pound-feet of torque. On the design front, the front of the MKZ takes cues from its sibling, the Continental, giving it a sophisticated, almost Jaguar-like look. Likewise, the front headlights have been completely redesigned and now uses the more energy-efficient LED technology. Posted on January 8, 2017, in Business and tagged 2017, biloxi, excellent, lincoln, mkx. Bookmark the permalink. Leave a comment.